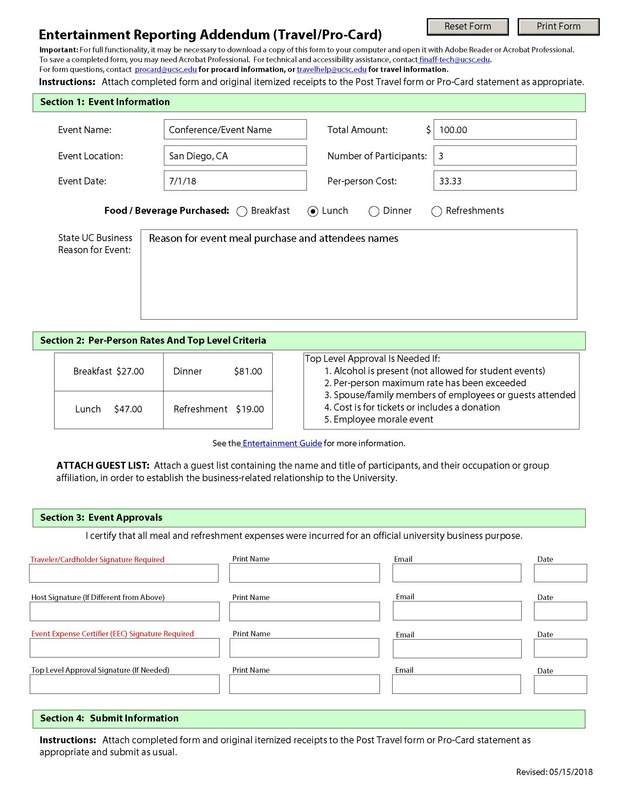 The Financial Affairs office’s Entertainment, Business Meeting, and Other Events Expense Guide provides a great detail guide for Faculty and Staff. To access this guide, follow the links below. Generally, alcohol is not permitted. If included in a meal, you need to deduct the alcohol amount plus tax and tip from the reimbursement. If alcohol is part of an entertainment event, whether being reimbursed or not, the reimbursement will be processed with Exception to Policy and under consideration to be signed by the Dean. 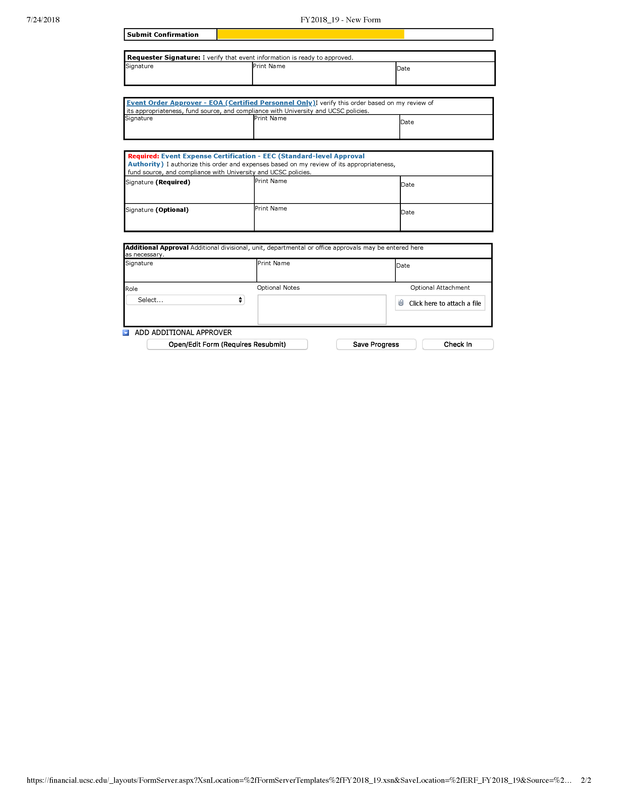 The Entertainment Reporting Addendum form is to be attached to the Post Travel or Pro-Card statement when requesting reimbursement for meals or expenses you paid on behalf of others. 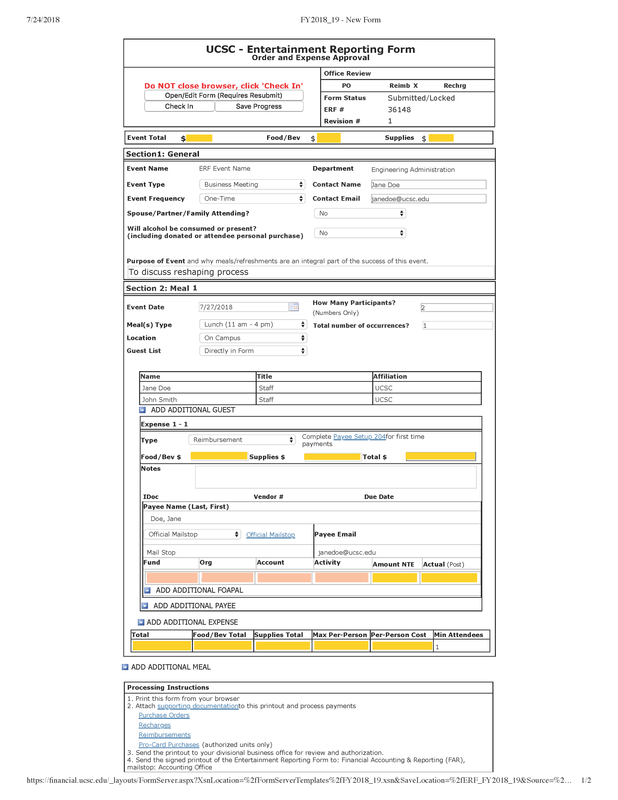 Attach completed form and original itemized receipts to the Post Travel form or Pro-Card statement as appropriate.